This is a 100% honest, 100% authentic review of Redwood National Park in Northern California. We were not compensated in any way for this post. 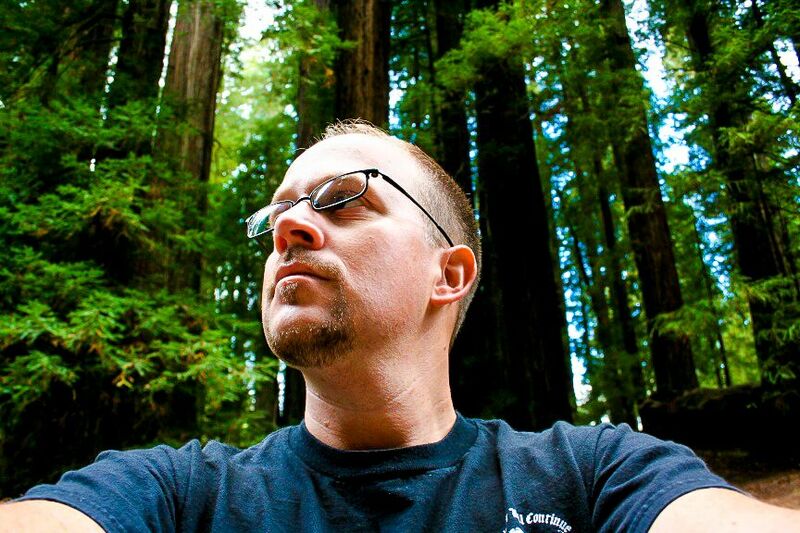 The Redwoods of California will always hold a place near and dear to my heart. It was one of the sights my (maternal) grandfather and I saw on our 5-night trip to Northern California. The forests of central and northern California are a place to behold, that's for sure. If it's not a travel bucket list item, you may want to re-evaluate your list! This review of the Redwood National Park will provide a bit of an overview tour, highlighting a few spots in the vicinity that may be of interest. Towering high above the ground, the majestic Redwood trees of Northern California are a sight to see. These trees are some of the tallest in the world and remind me of a primeval forest. One can almost imagine ancient creatures roaming these lush forests of giants. Redwood National Park is home to these amazing trees that are peaceful to roam. This national treasure is a wonderful place to go hiking or have a picnic in a rustic peaceful environment. As the entire park spans hours of travel time I’ll be focusing on some of the highlights to give you a taste of the Redwood National Park. If you do go hiking, be sure to take a selfie. What should we see at Redwood National Park? Redwood National Park is full of different trails for you to stop and explore. Some are difficult like the Rhododendron Trail (7.3 mile loop) and require proper preparations. Others like the Stout Memorial Grove (0.5 mile loop) are accessible for anyone willing to come and have a relaxing picnic in the wilderness. Be sure to visit one of the many visitor centers to pick up a map and learn some of the basic history of the national park. There are many roadside pit stops along the way including a hollowed-out Redwood tree that is large enough for you to drive your car through it. The thing that I love about checking out nature at Redwood National Park is that it’s a nice contrast to the hectic nature of a large portion of the rest of California. When visiting the park, you can expect to see different birds, deer and maybe even a bear. The unique flora and fauna make this place a paradise for people who love the outdoors. Redwood National Park’s status as a distinct environment makes it a national treasure. Redwood trees only grow in a small portion of Northern California so it’s important for them to be cherished for their unique nature. People have been amazed by these silent giants since the first day that human eyes looked upon them. They remind those who come to visit them on how small we really are as people. Being able to contemplate these thoughts is best done when walking among these tall trees as birds chirp high above. Where should we eat near Redwood National Park? There are countless choices as the park spans hours and passes through multiple small towns. If you have the time, I fully support having a picnic at one of the trail heads. Most of them have picnic areas with rest rooms making it easy for you to stop and have a bite. For those who would rather eat at a café, I recommend going to the Eel River Café in Garberville. The Eel River Café is a family owned restaurant that has been open since 1935. The food is fresh and the family who runs the place is very friendly. The last time I was there was for breakfast. I can still remember how delicious my omelet was. The Star Wars movie Return of the Jedi’s Endor scenes were filmed in this forest. Where should we stay near Redwood National Park? There are numerous towns with hotels for you to stay in. Cities such as Crescent City and Eureka have a wide selection of hotels. If you’re feeling adventurous enough, this is a great opportunity to go camping at a designate camp site or one of the official lodges. See the Park Rangers for information on those details. Redwood National Park is an amazing experience for people who love the outdoors. The park is well maintained and a real pleasure to explore. This special place represents what makes Northern California such a great place for outdoor excursions. This experience gets 5 out of 5 stars and is one that is perfect for making your road trip down Highway 101 wonderful. Have you been to the California Redwood Forests? We'd love to see your photos! 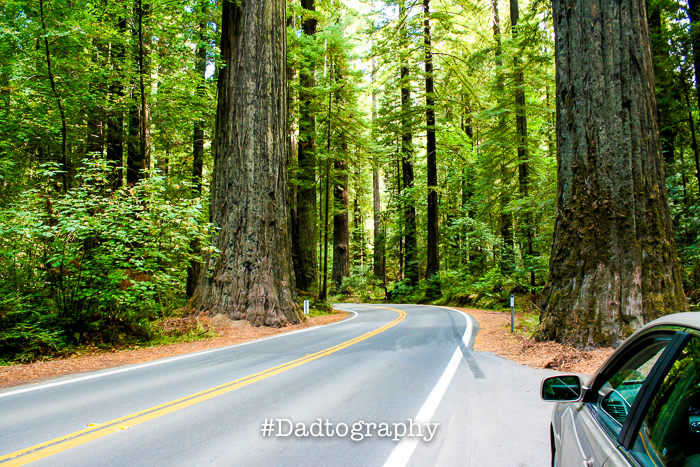 Tag #Dadtography to your photos on Instagram and share them with us! Trees so big, you can drive through them. No guilty feelings unplugging for a bit. You can see the stars! Northern California is a bit far for east-coasters.